Lace-up flats are a spring essential and I’m loving this pair that’s under $60! I pretty much live in Jacks all summer long, whether it’s these jelly sandals at the beach, their classic sandal (see next pic) or my fave gold wedges. Can’t wait for warmer weather! Missing beautiful Amelia Island so bad right now! 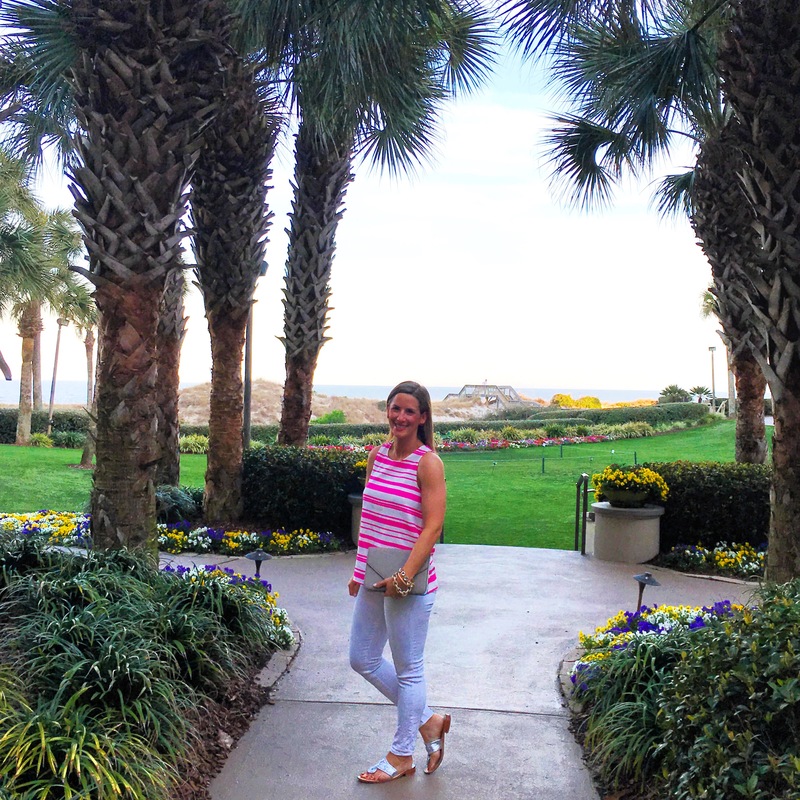 Pink and white stripes are perfect vaca style in my opinion- wish this shirt was still available! 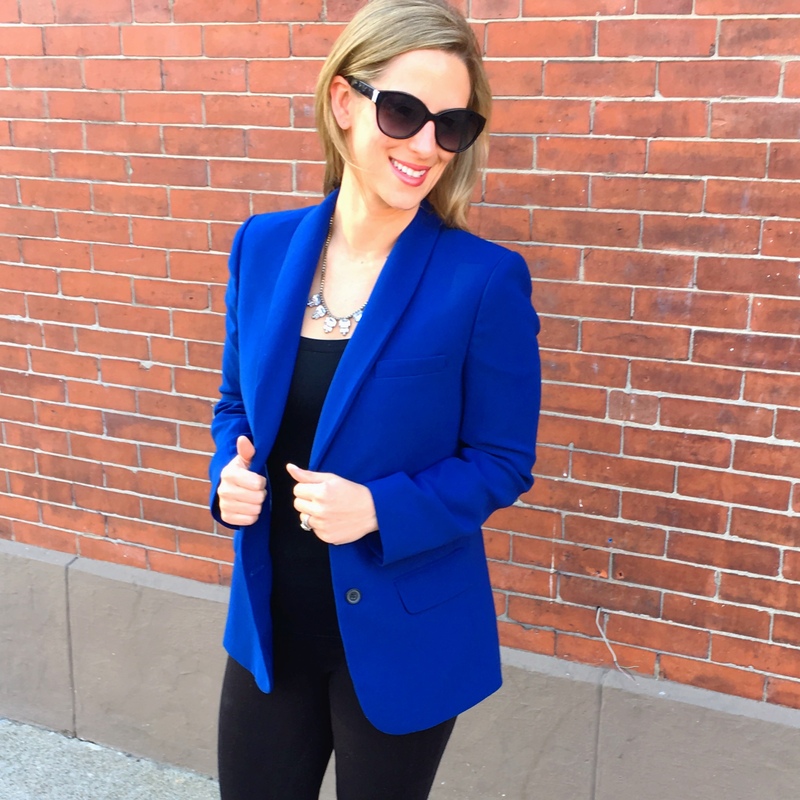 For International Women’s Day, I rocked this blue blazer and teamed up with a bunch of other bloggers on Instagram to celebrate. I love blazers for work, for the weekend, to layer… they really are so versatile, especially in fun colors like this one. Caption of this photo on Instagram was all J.Crew jewels all the time… and it couldn’t be more true! I’ve been wearing this arm party non-stop recently! 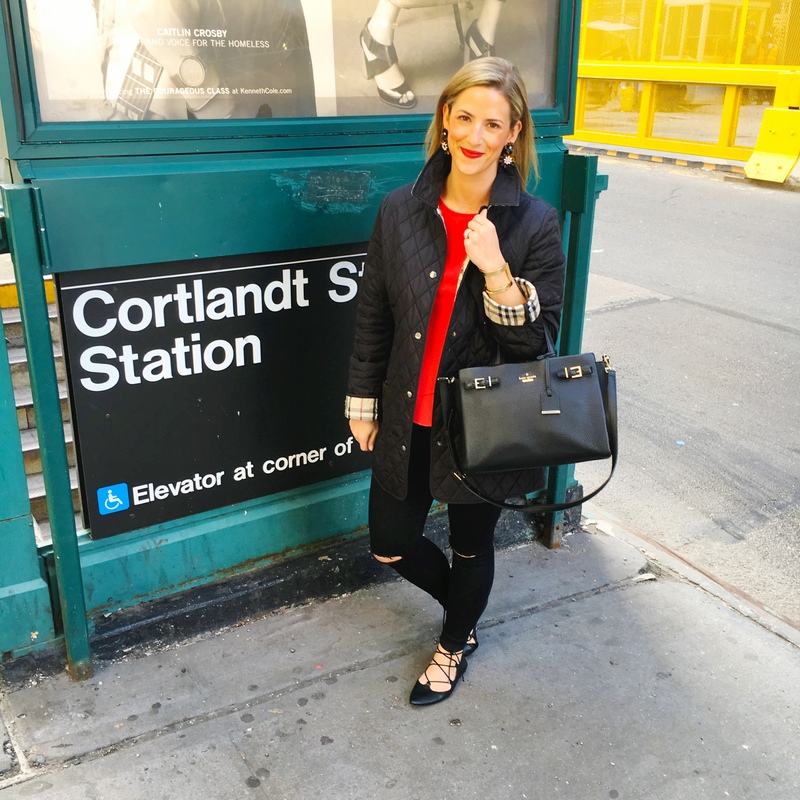 We went down to NYC for a quick 24 hour trip to celebrate my sister’s birthday- it was so much fun and this outfit was the perfect thing for walking around the city on a spring-like day. 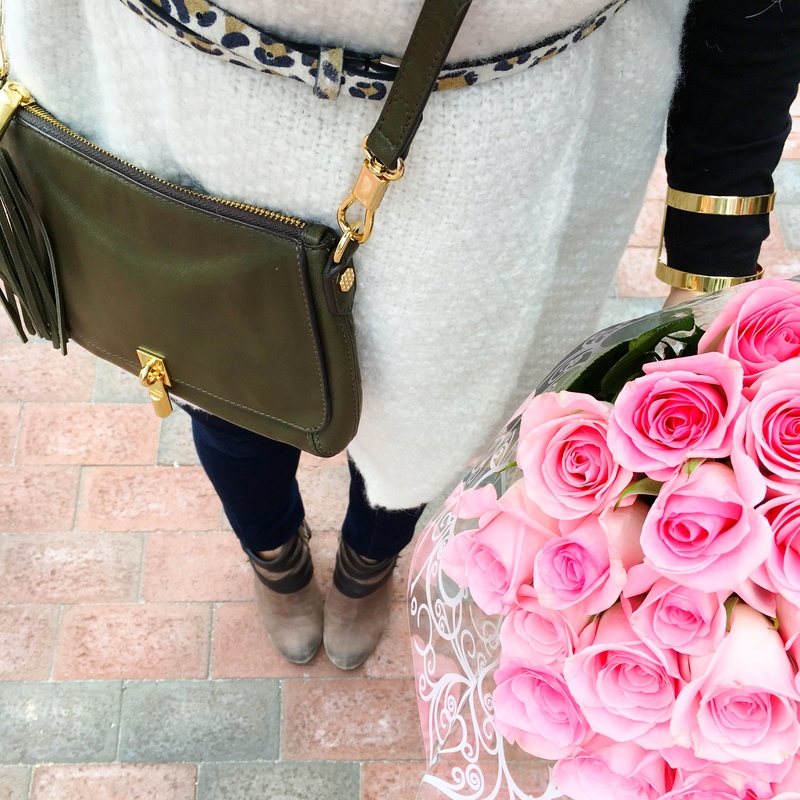 The first day of spring felt a lot like winter and so I needed these blooms to brighten my day! Also, if it isn’t obvious by now, I loved the bracelet from this past month’s Rocksbox- I am wearing it in three of these pics! If you haven’t checked out Rocksbox yet, definitely do so- you can get fun jewels delivered to your door for $19 a month with your first month free using promo code bostonchicpartyxoxo. It’s the best! Hope you all who celebrate had a great Easter! I was all about the pink down to my peeps! 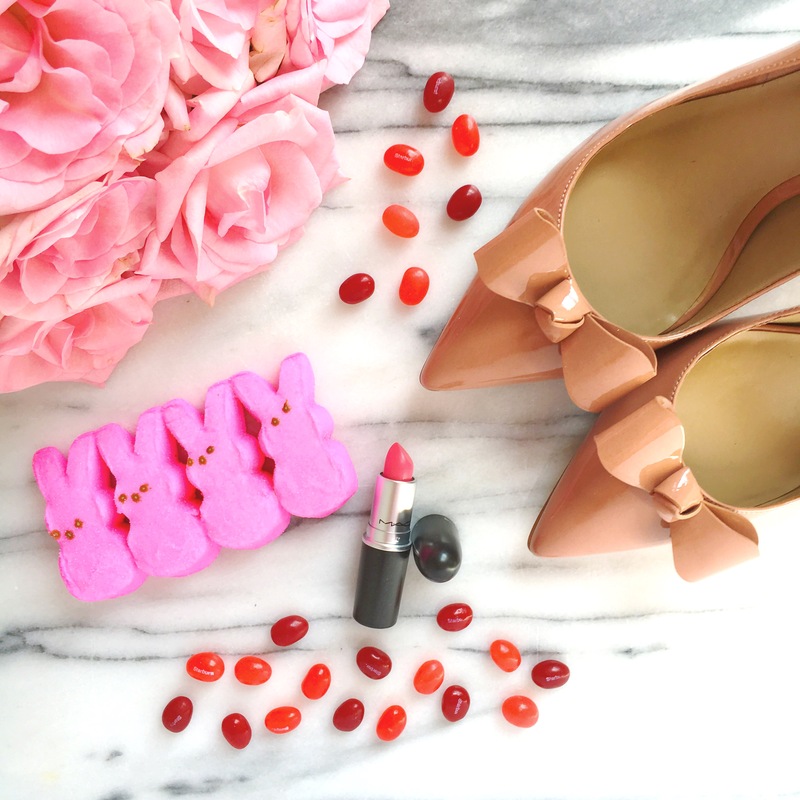 These bow pumps are my new favorite and are a spring staple. Ahh.. The poolside shot has me craving summertime! Can’t wait for summer! It’s coming soon, girlie! love a good mix of beach and city time. that blue blazer is awesome! I love your Instagram roundup! Always enjoy seeing your posts on IG!! Happy Monday love! Thanks girl! Happy Monday to you too! I love those lace-up shoes! Thanks Meghan! They are perfect for spring! I love Instagram round ups! They are my absolute favorite, March was fabulous! I loved all of your outfit posts and shares on Instagram. Keep rocking it girly! Thanks Morgan! You are the sweetest 🙂 xoxo! Thanks Scout! You are too sweet! These are all such fun accessories and details! 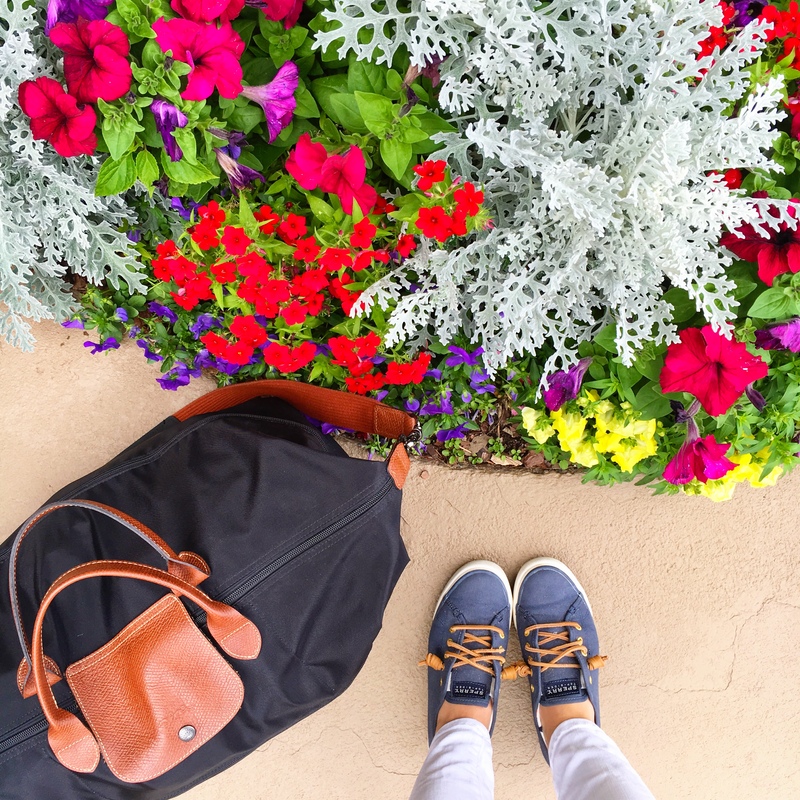 Love the sandals, the sperrys and your long champ traveling bag! Thanks so much Mary! xoxo! I love the heart on the coffee cup! So cute! My coffee cups always have red lipstick stains! Hehe! I can’t avoid the lipstick stains ever haha! Thanks Mariam! I always look forward to these roundups! I just adore your style & especially those Sperry tennis shoes! Thanks so much Kristin! They are super comfy too! Summer is coming 🙂 Love that bracelet just got my first rocksbox sent to me I’m super excited to see! Thanks Janna! That makes us more than friends- it makes us twins 😉 Thanks for all the sweet words, sweet girl! xoxo! So many great outfits! 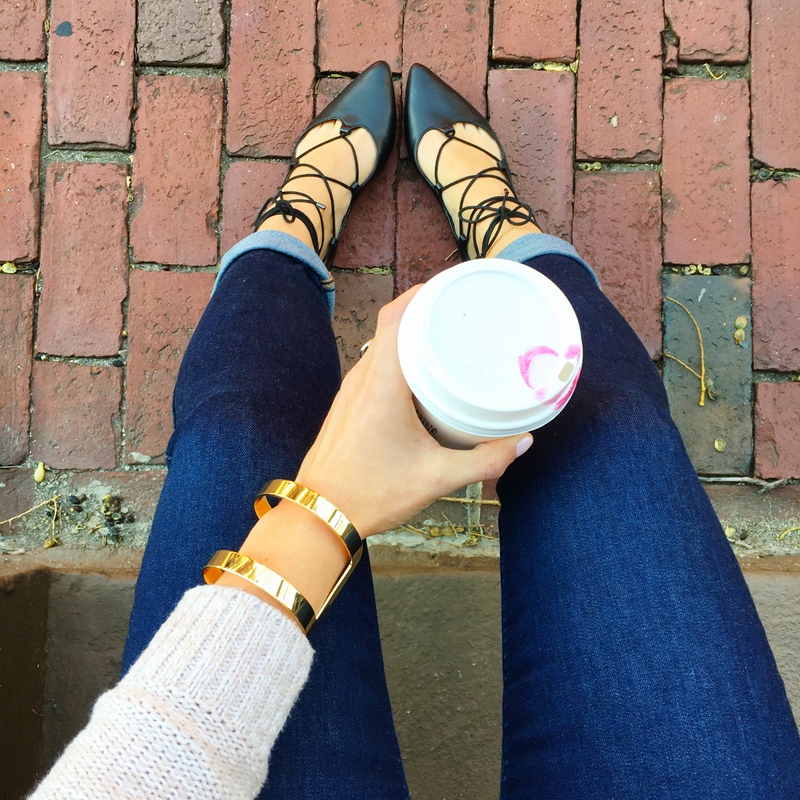 Those ann taylor bow pumps are seriously so cute! love all the outfits! I’m so ready for the weather to really warm up so I can break out more spring clothes!